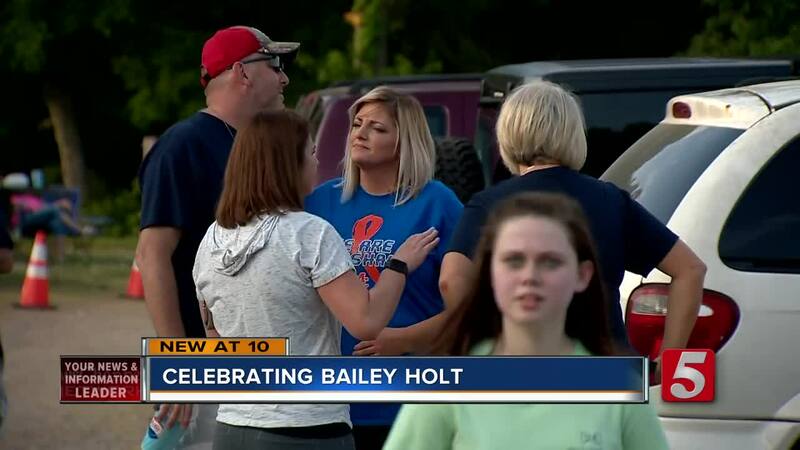 The Calvert Drive In in Kentucky was packed with family and friends of Bailey Nicole Holt Tuesday evening to celebrate what would have been her sweet 16. Holt was shot and killed when police say Gabe Parker opened fire inside Marshall County High School on January, 23. Holt and 15-year-old Preston Cope were killed. Tuesday would've been Holt's 16th birthday. To celebrate the community came together at her favorite drive in to remember Holt. Her favorite movie, Ferris Bueller's Day Off, was shown on the big screen. "She just loved being here, she loved being with family and friends," Holt's mom, Secret said. All the proceeds from Tuesday's movie will go towards the Bailey Holt Memorial Scholarship Fund for future nurses.